SolarKing has been established specifically to provide a high quality solar energy solution to both the residential and commercial markets. At SolarKing we believe in energy solutions that will stand the test of time, by providing your project with a customised system that is the best solution for your needs. The Photo Voltaic panels that we use and all of the associated products are the best quality available. 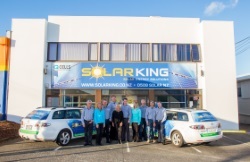 SolarKing is owned and operated by certified electricians with a vast amount of experience in the New Zealand market. Our design team has been involved in the solar energy industry for over 15 years and the install team being in the electrical contracting industry for over 20 years. Our customers are assured of a totally professional service from quote to completion. This combined with a 10 year workmanship warranty on our solar installations makes a SolarKing photo voltaic system a sound investment. 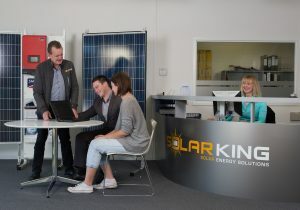 SolarKing is proud of our customer relationships, focused on excellent customer service, a knowledgeable and friendly team, no obligation solar advice and free solar quotes, and our willingness to assist with all your solar requirements. 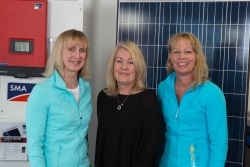 To see what SolarKing’s customers have to say, please view our Client Testimonials. 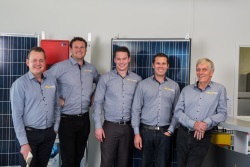 Simply Contact Us today, or call the team on 0508 Solar NZ (0508 765 276). We’d love to help with all your solar needs. For the best in sustainable solar energy solutions for an ever changing world you can’t go past SolarKing for experience and knowledge. Our installations are installed by New Zealand Registered Electricians and we are proud members of the New Zealand and Pacific Solar and Storage Council, Australian Solar Council and Sustainable Business Network. If you need any help please contact the friendly team at SolarKing on 0508 765 279 or via our Contact Page – we’re here to help with all your solar needs.